Founded by the U.S. Soccer Federation in 2007 as a means of ensuring the highest level of competition for America's top youth players, the U.S. Soccer Development Academy is now home to the top independent youth clubs and all MLS academy teams, including those of MLS clubs such as the New York Red Bulls, New England Revolution, and Montreal Impact. The Empire United Academy U-16s and U-18s play each of those teams, as well as other regional independent youth clubs, throughout the course of a nine-month season that stretches from September through May. 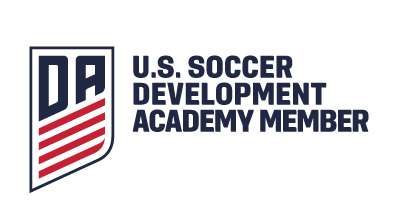 Empire United was recognized as an inuagural member of the US Soccer Development Academy Boys program in 2007, and were recognized once again in July 2016 as an inaugural Girls Development Academy member starting in Fall 2017.